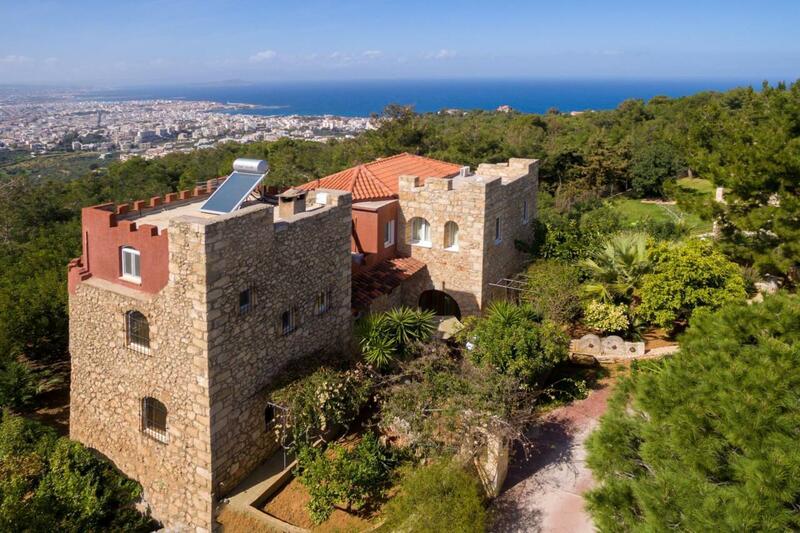 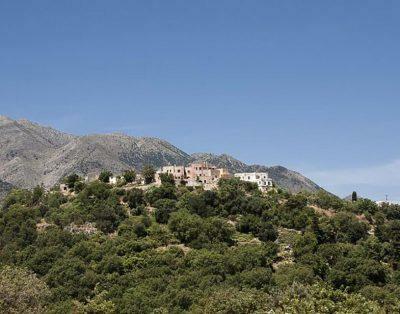 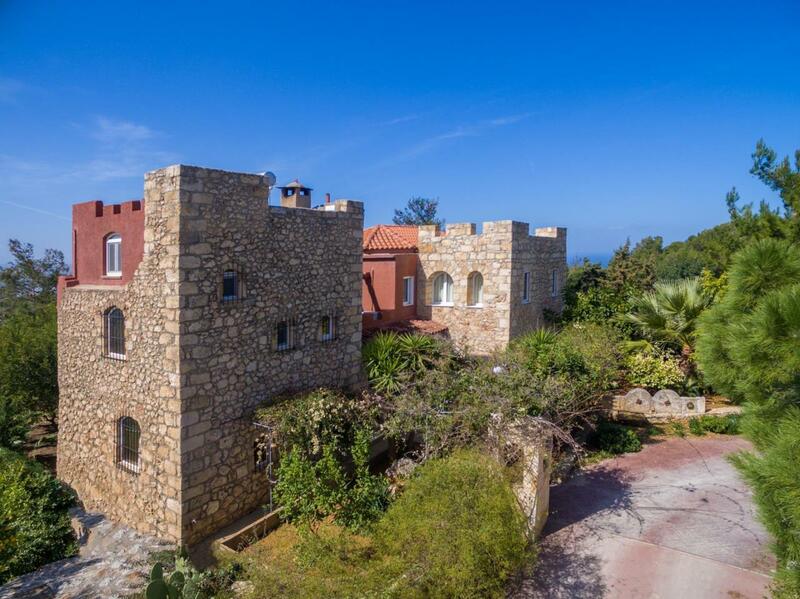 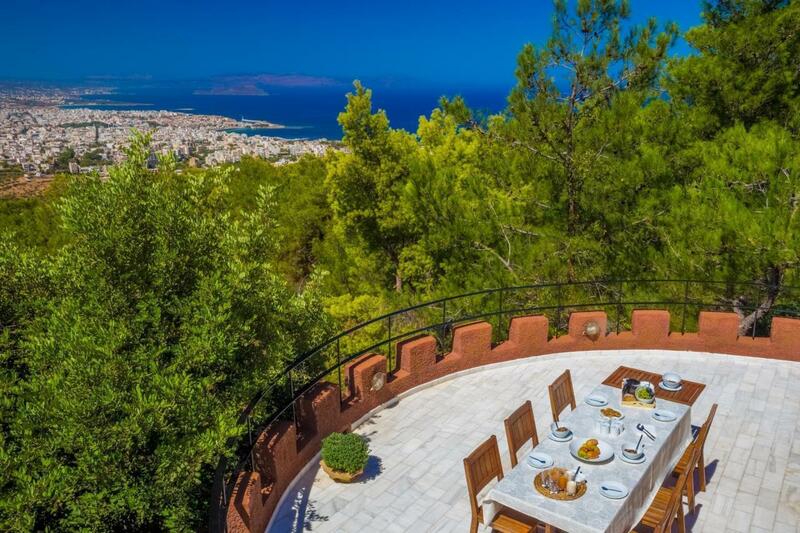 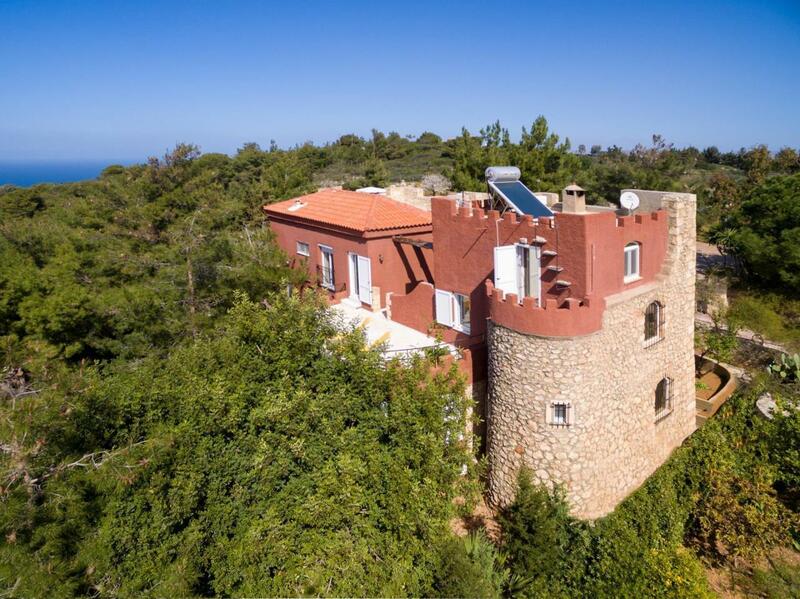 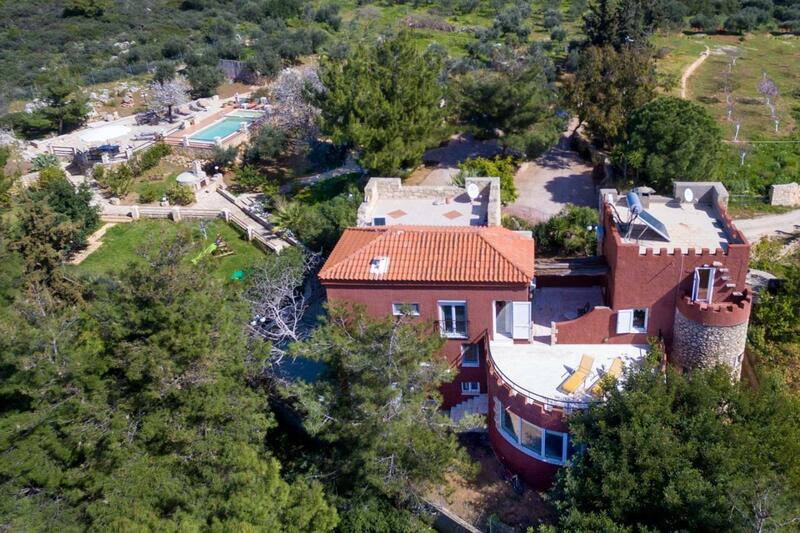 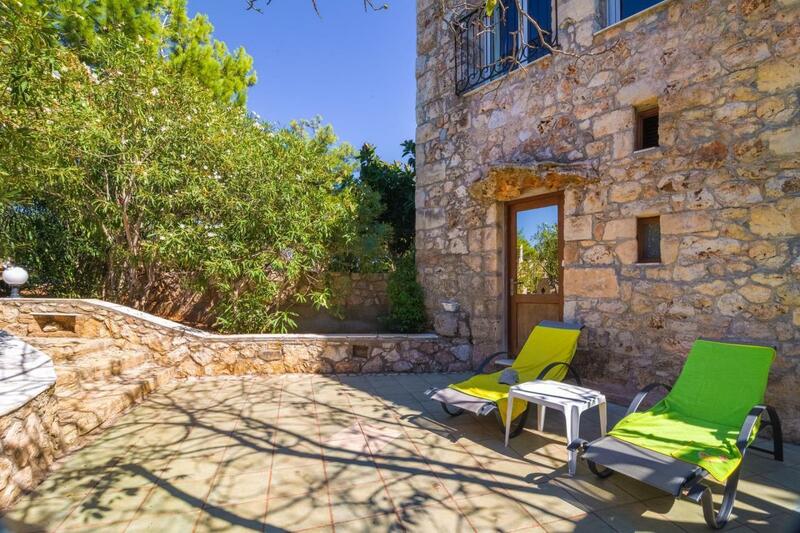 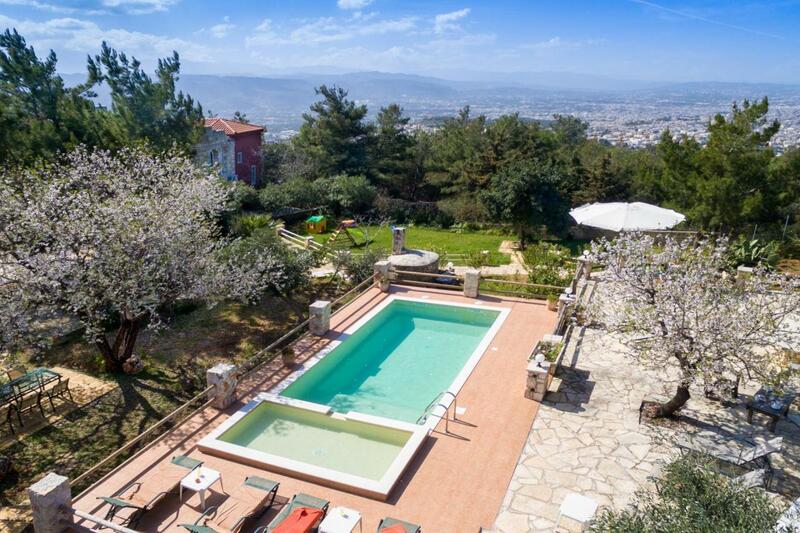 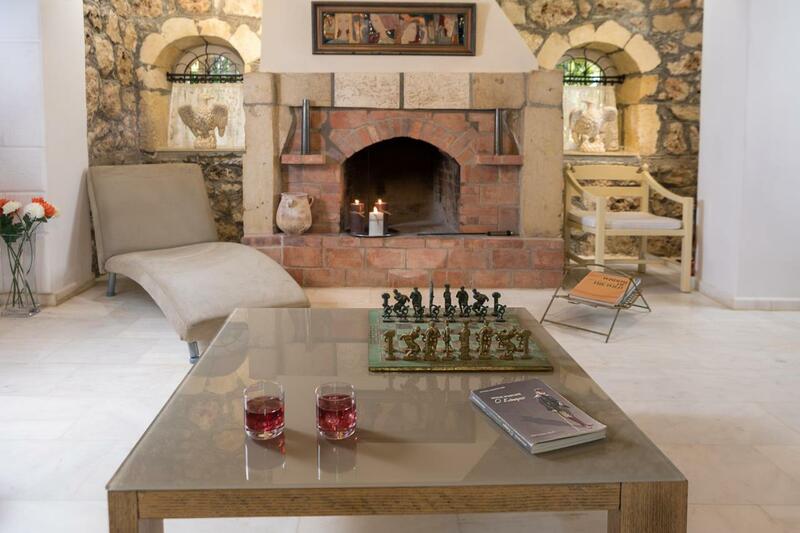 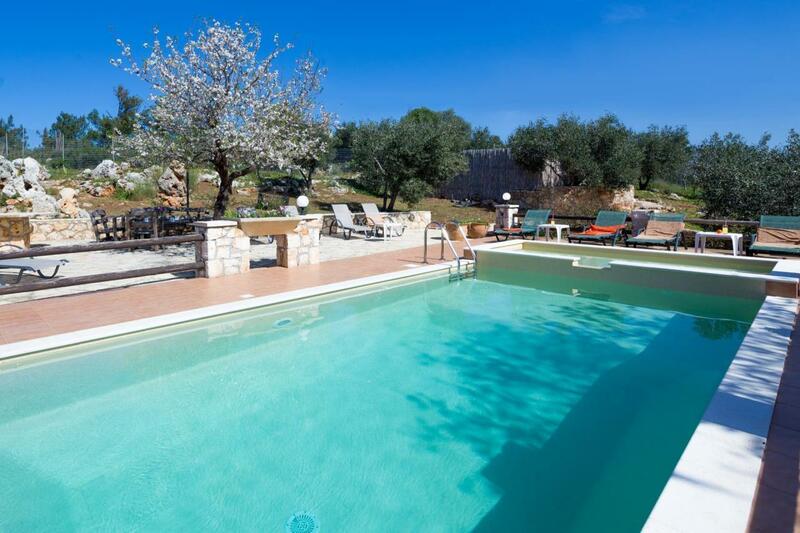 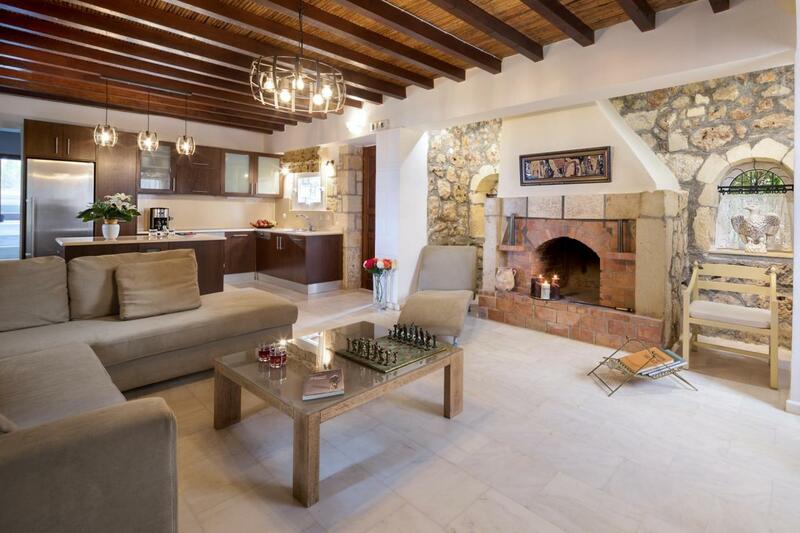 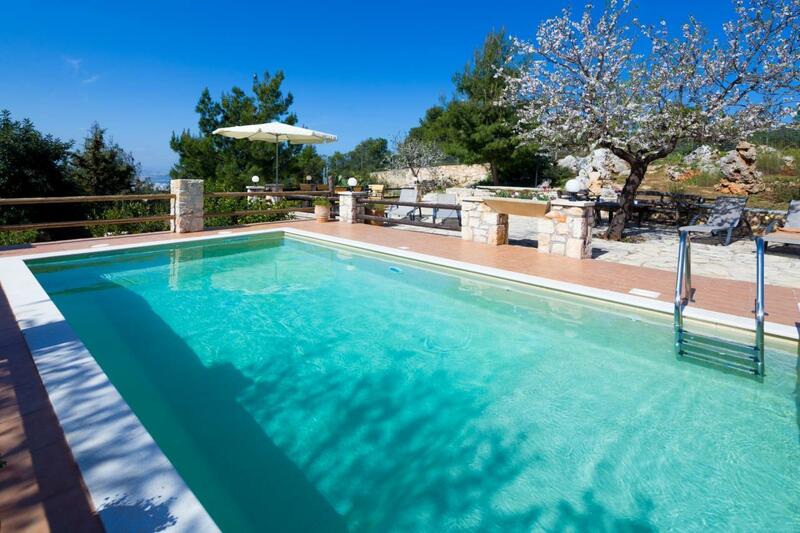 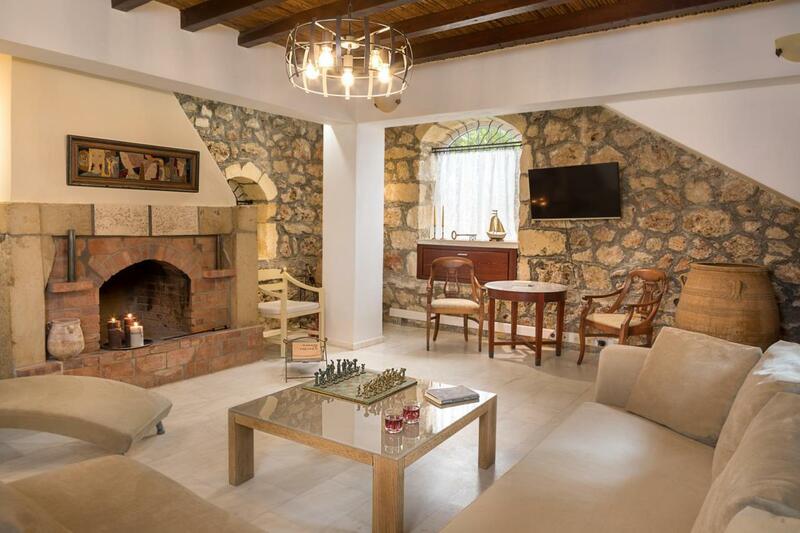 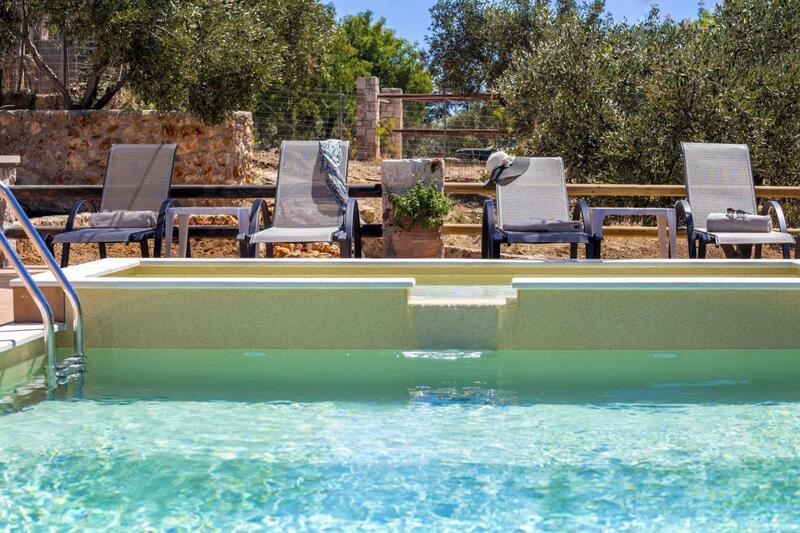 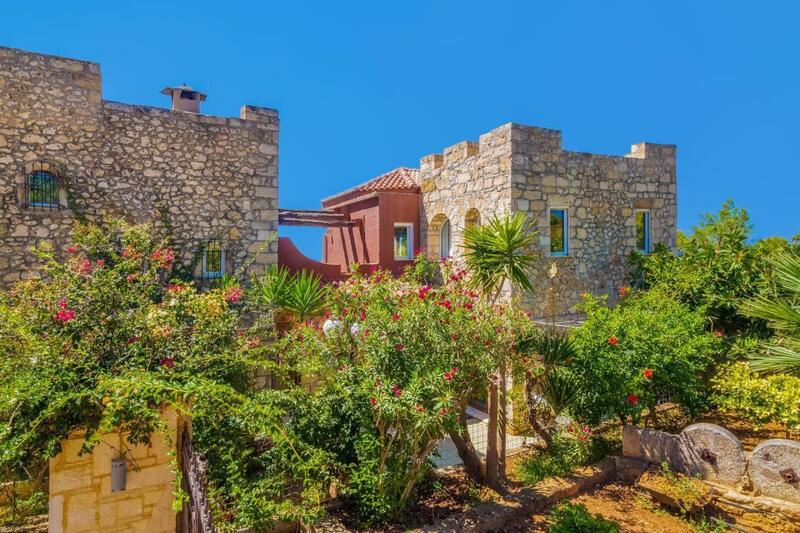 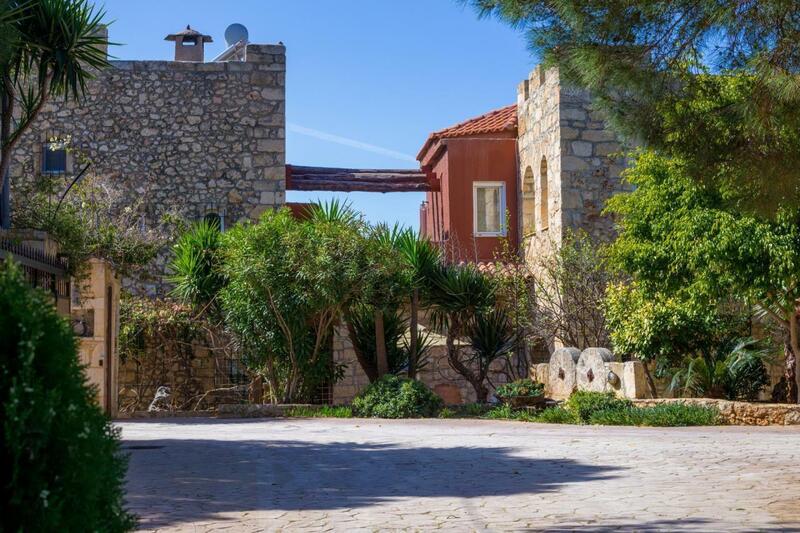 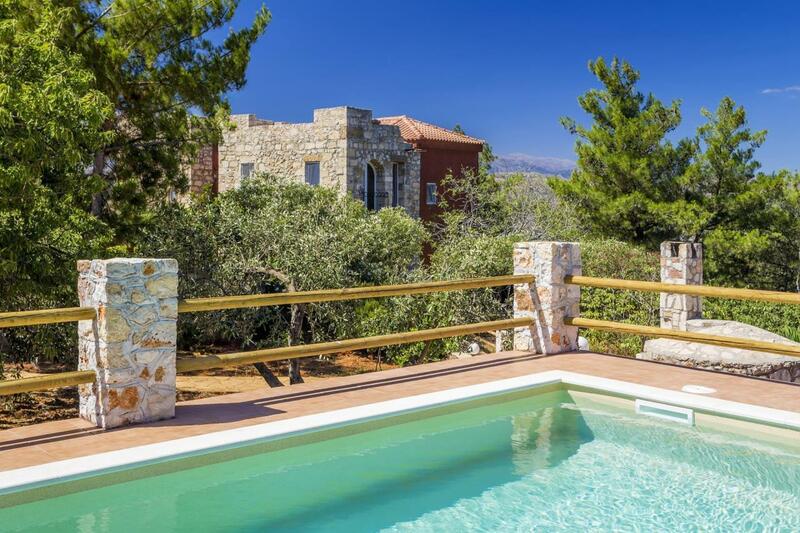 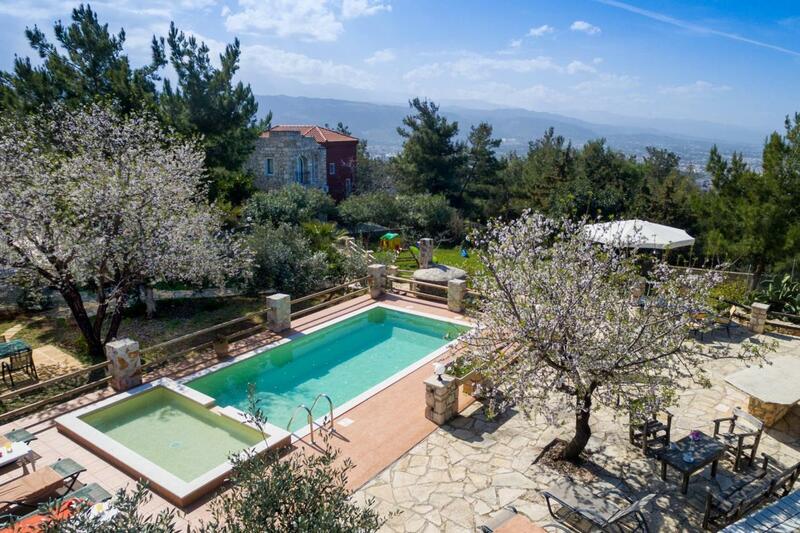 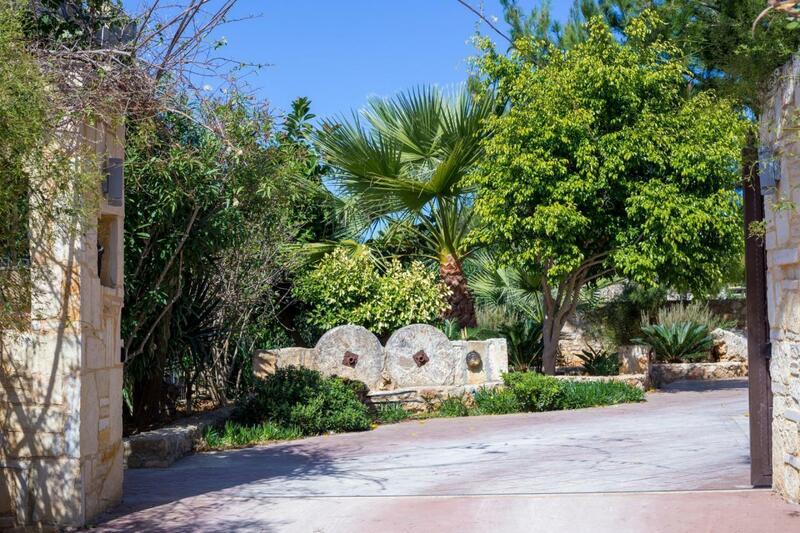 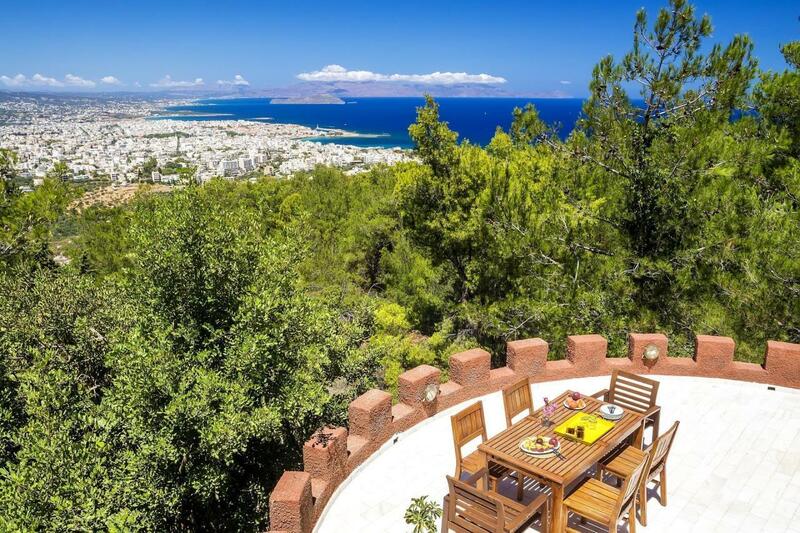 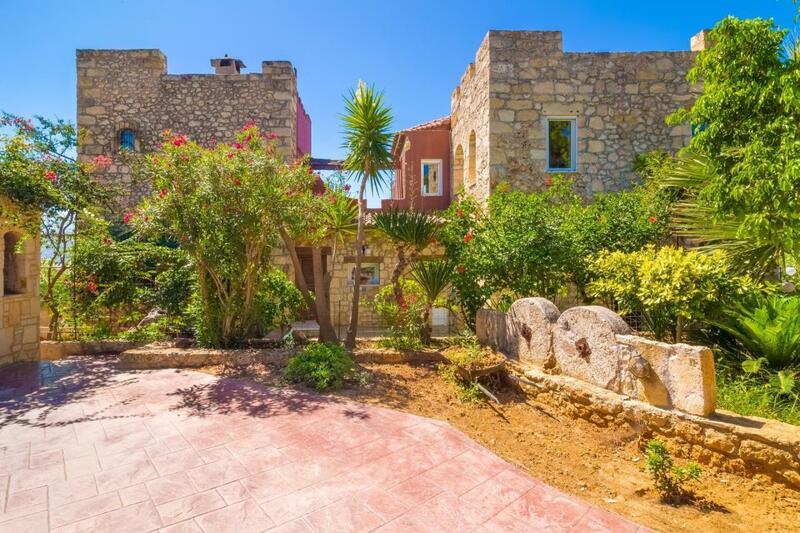 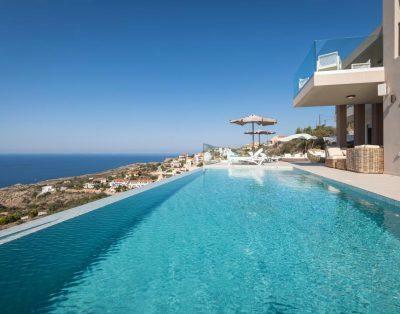 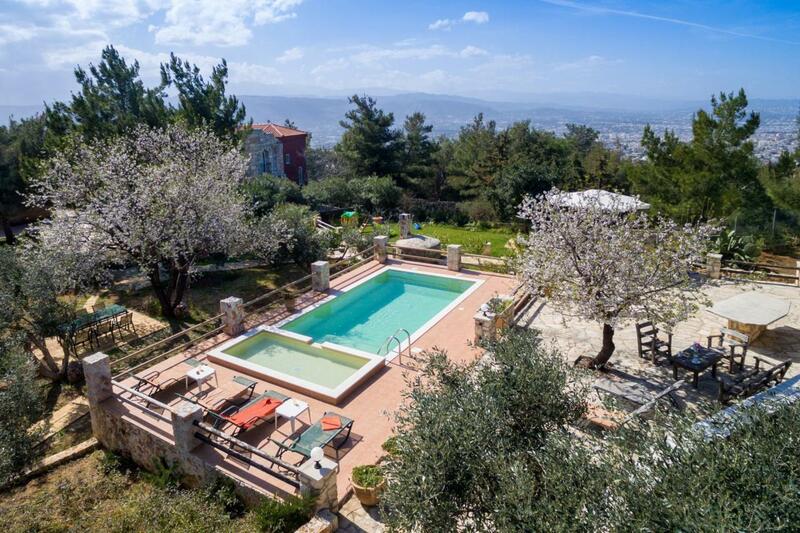 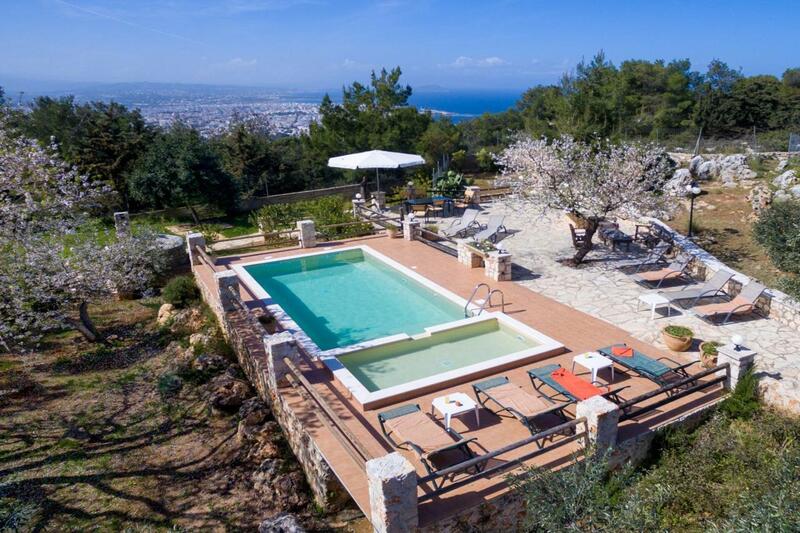 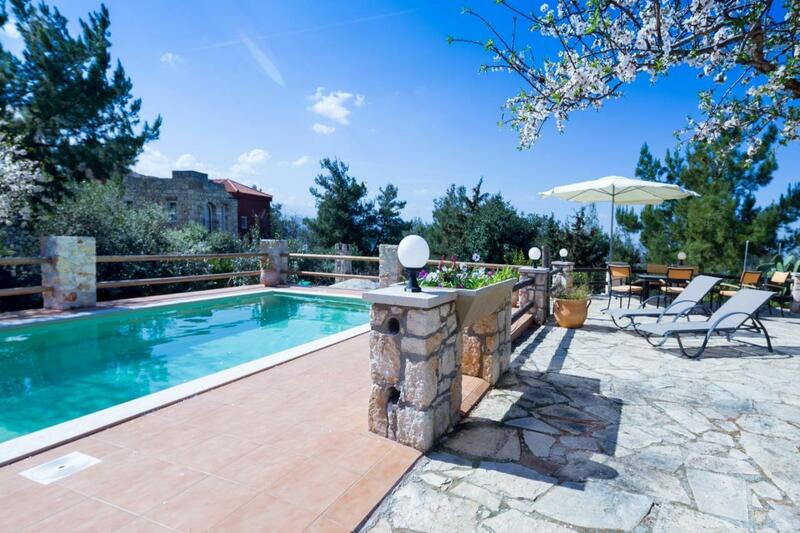 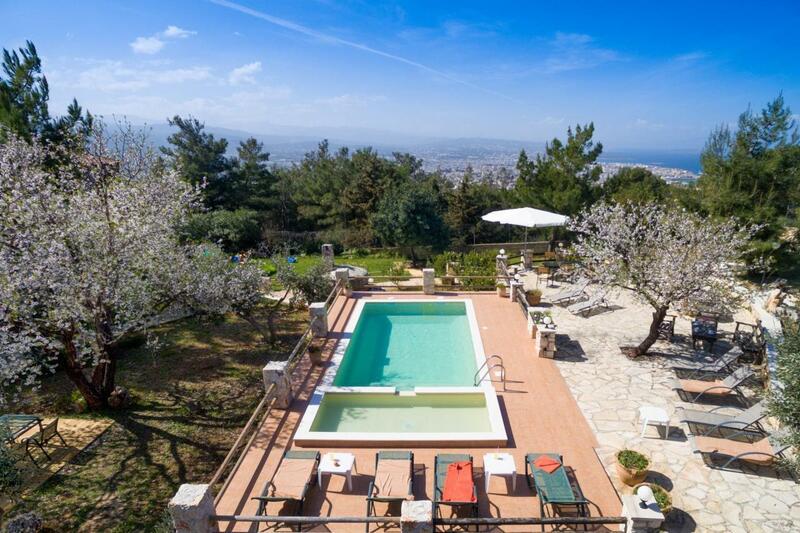 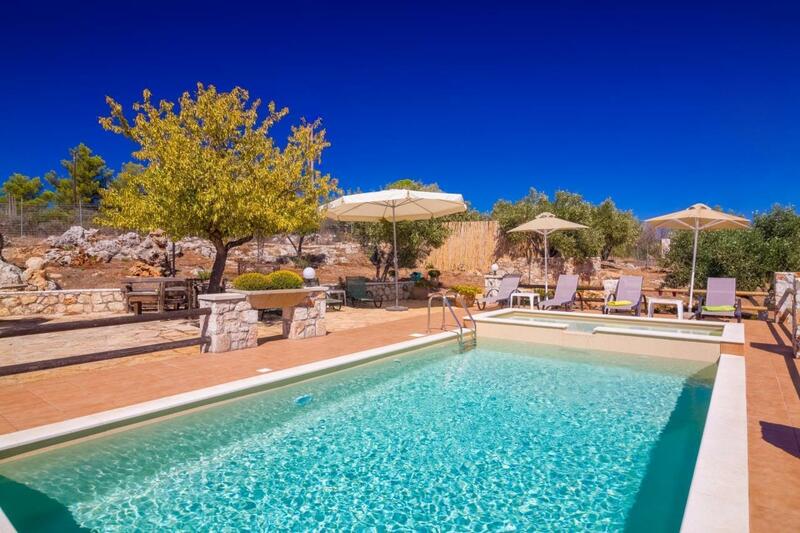 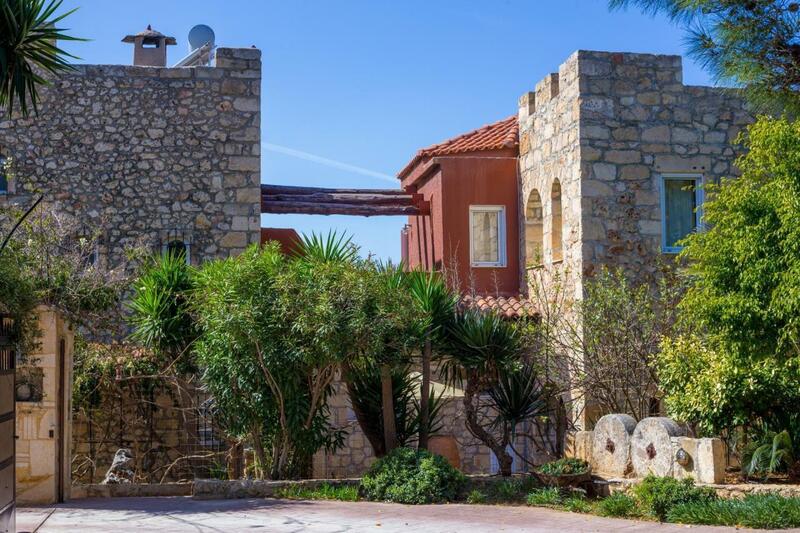 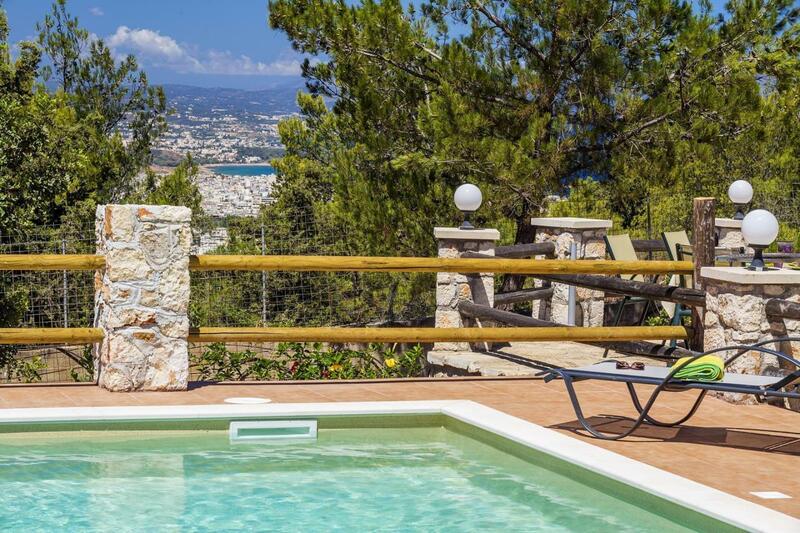 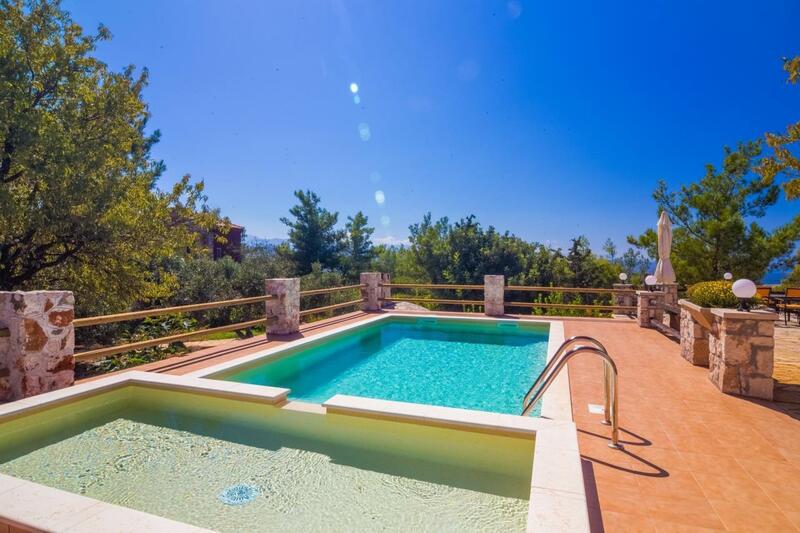 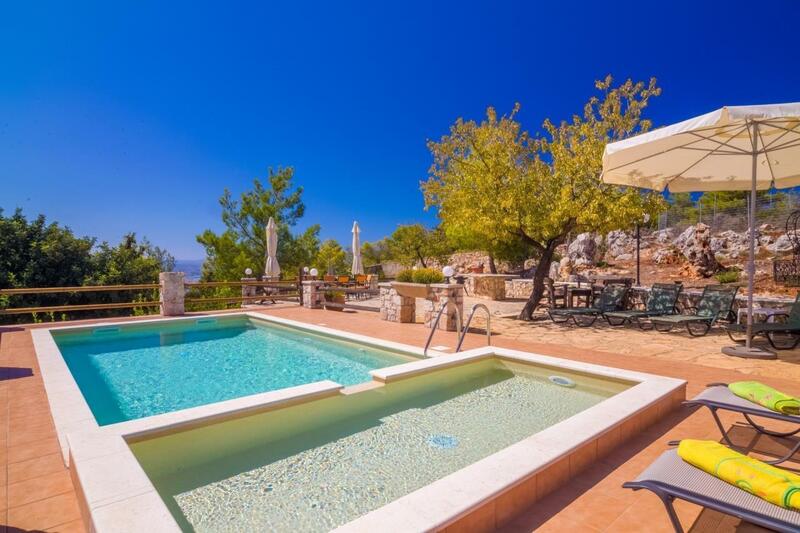 Luxury castle style villa with private pool near Chania | Villas in Crete to rent - Holiday villas for rent in Crete. 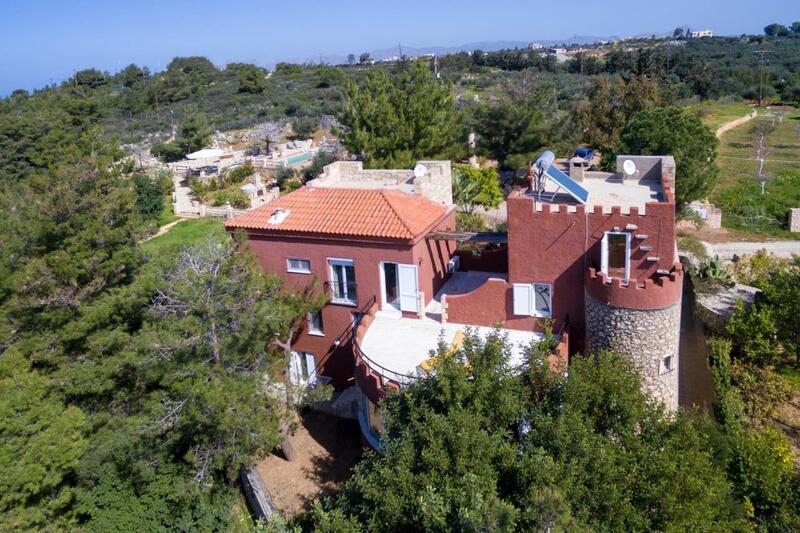 The Villa Castle as we call it resembles architecturally much like a castle, hence its name. 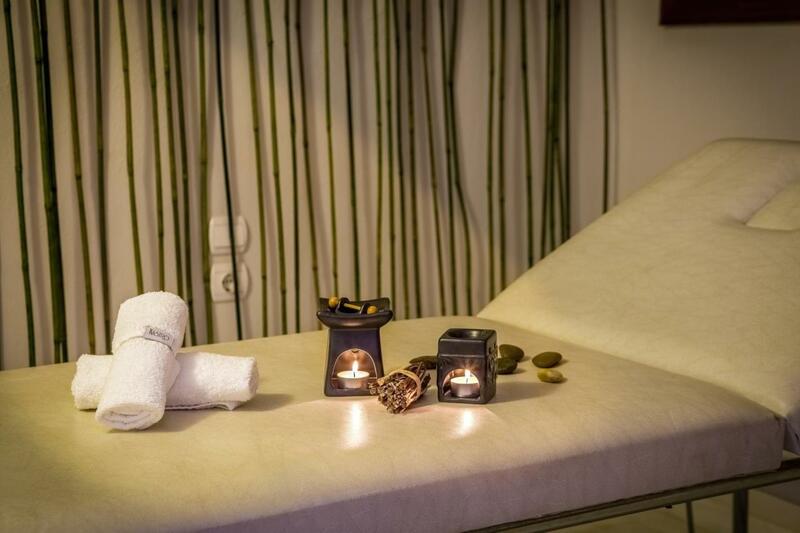 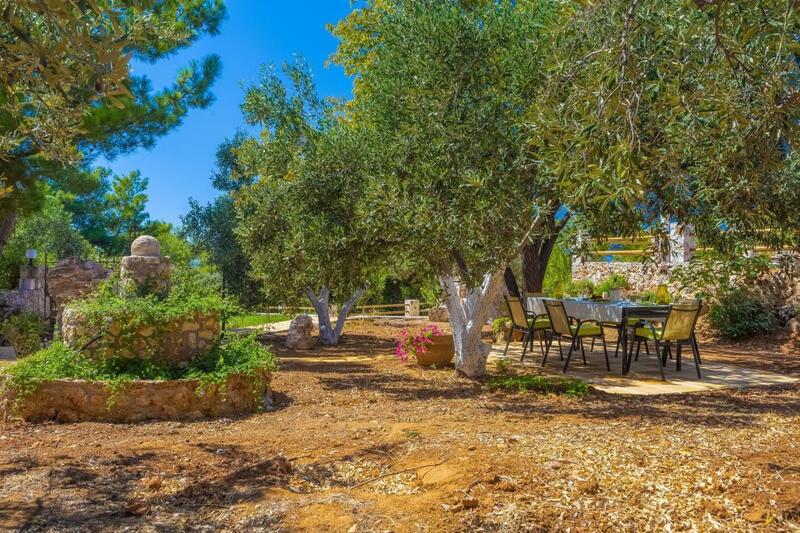 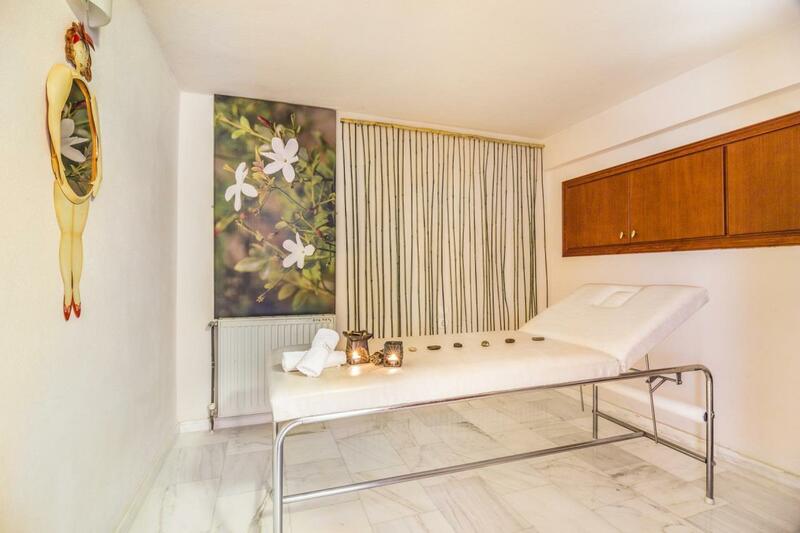 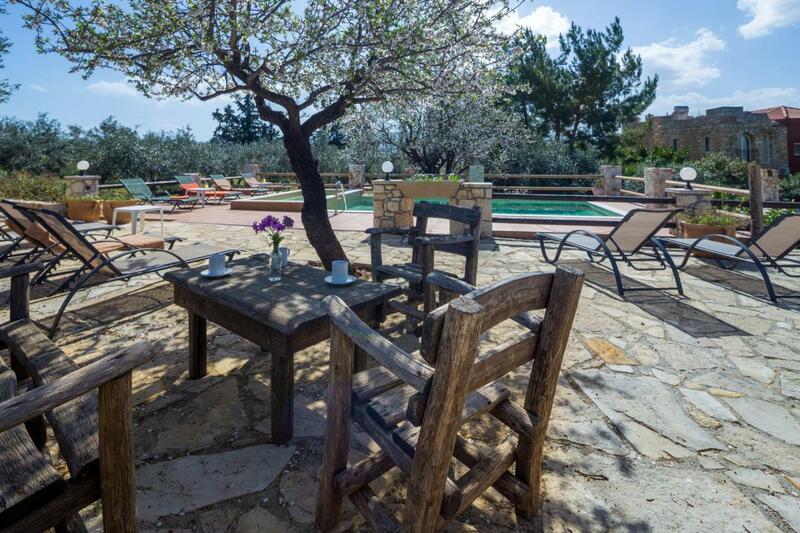 Surrounded by pines, it is a place that combines pleasure with tranquility. 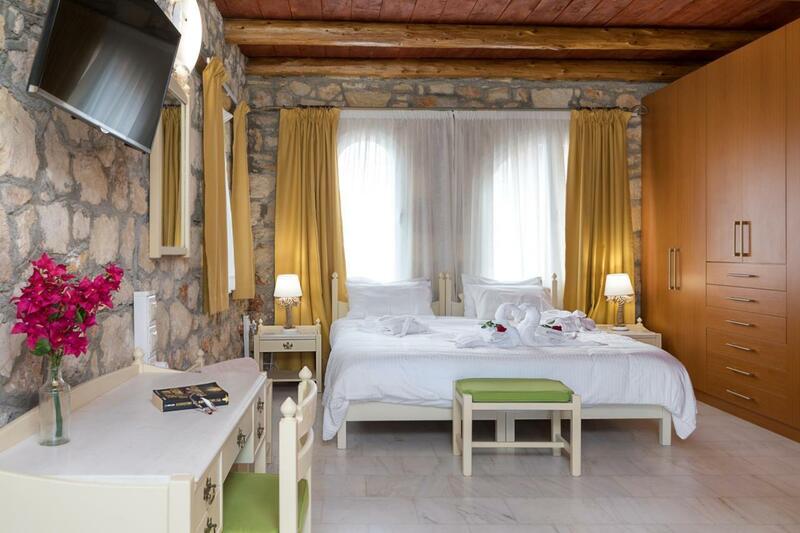 It is definitely the best choice for a family or a group of friends who want to have a great and memorable vacation holidays! 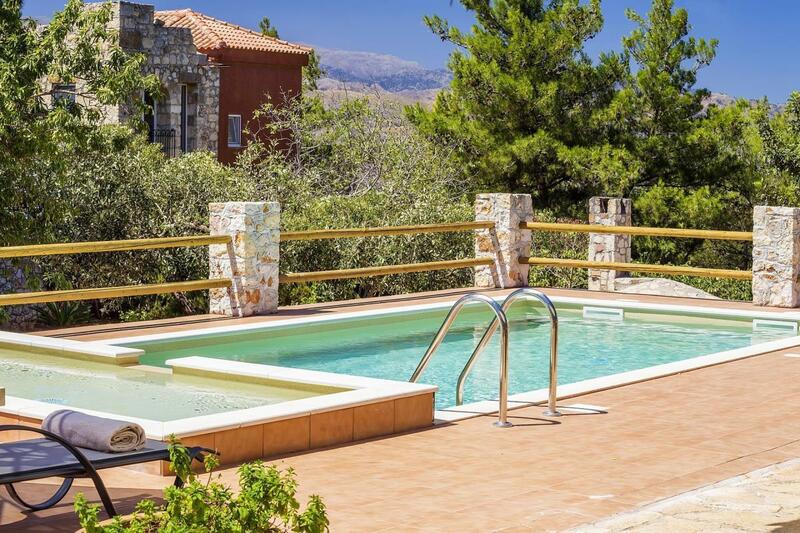 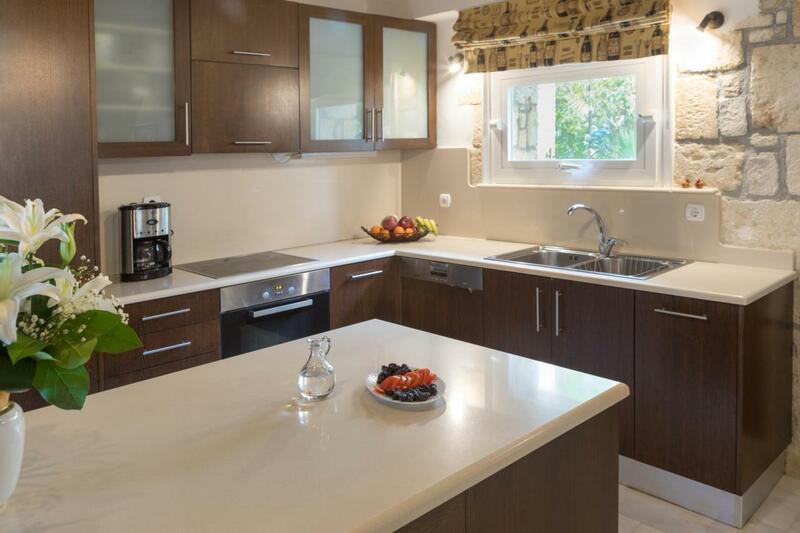 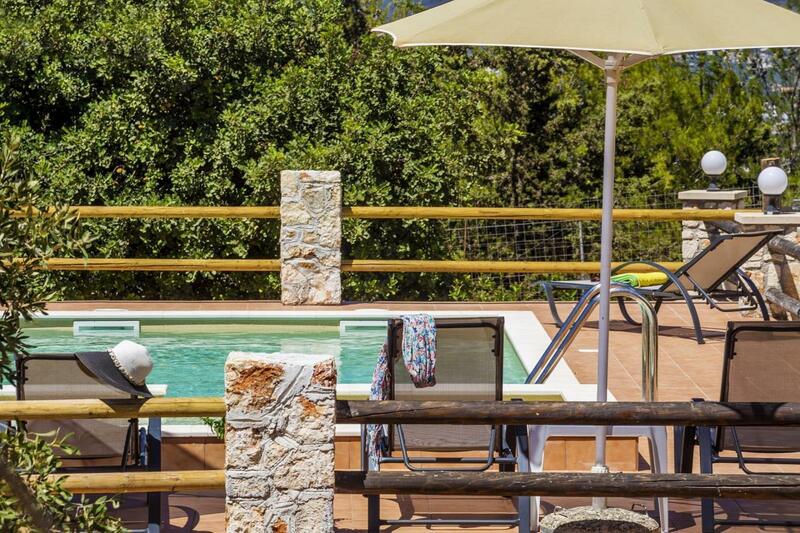 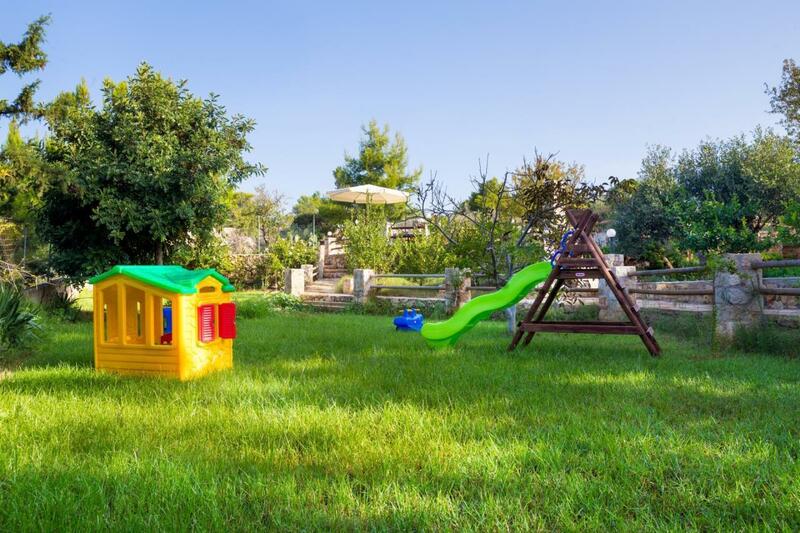 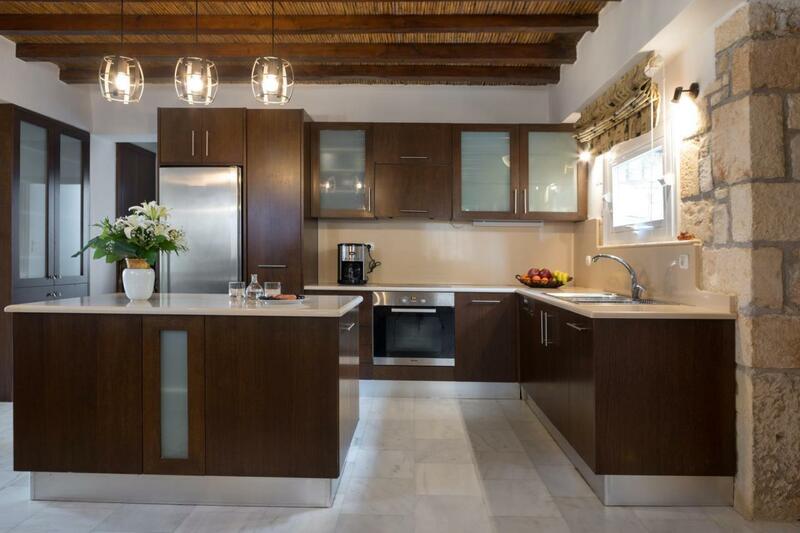 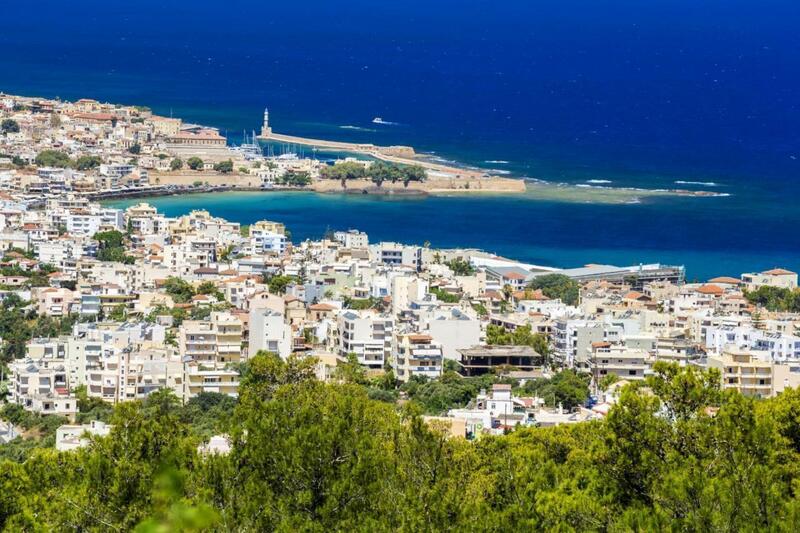 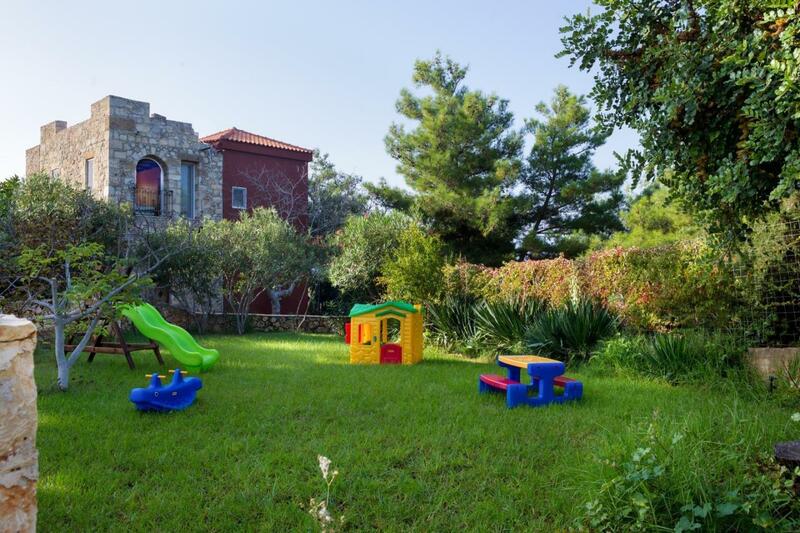 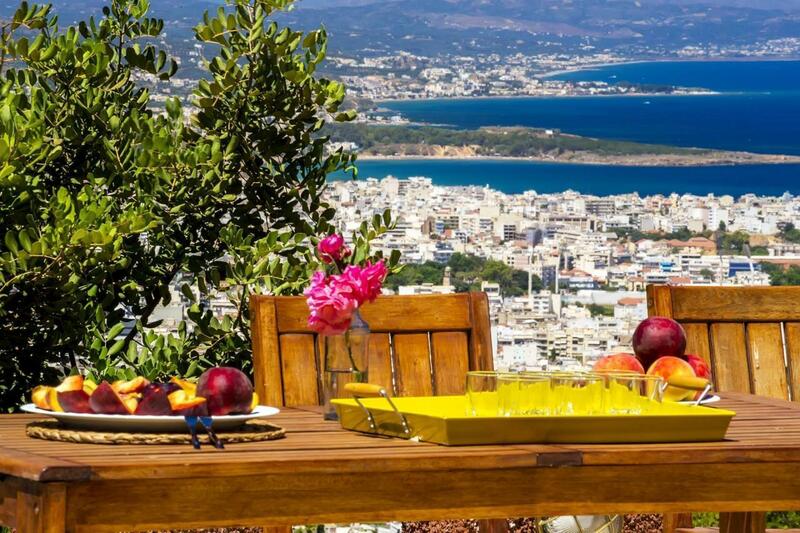 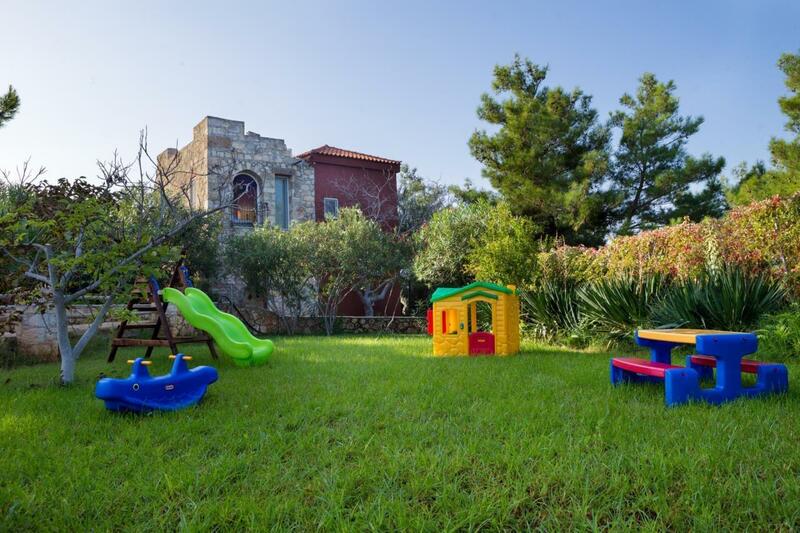 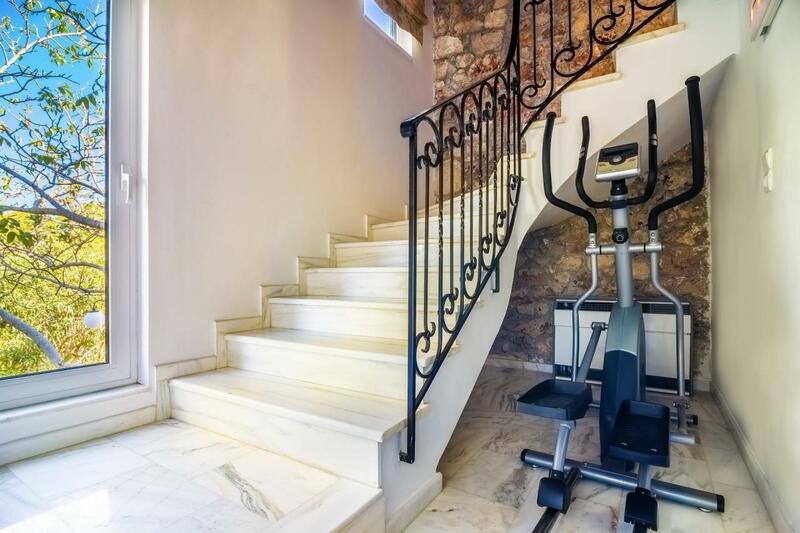 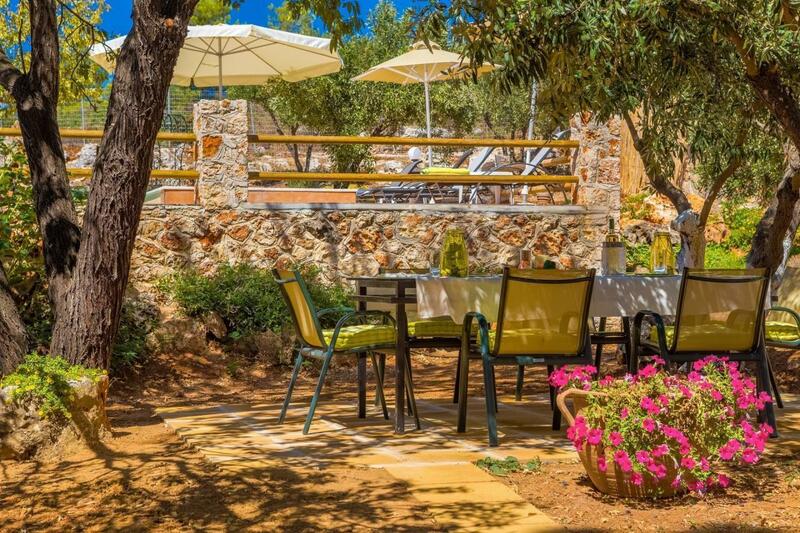 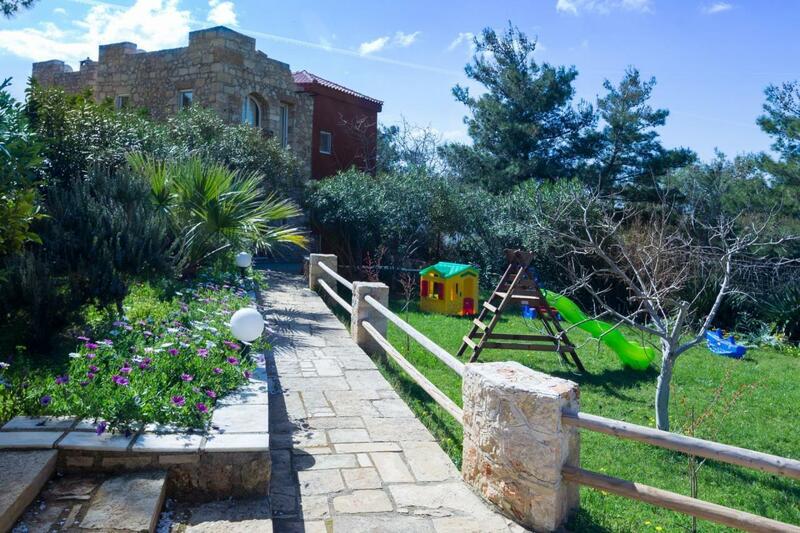 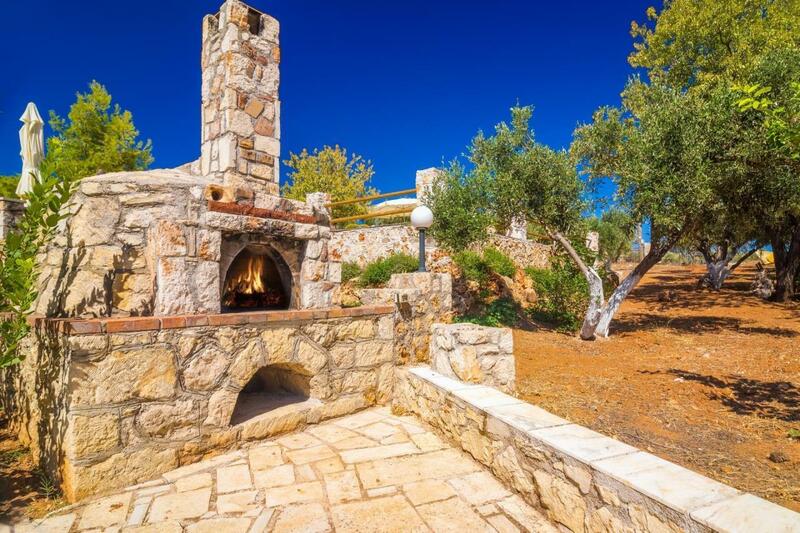 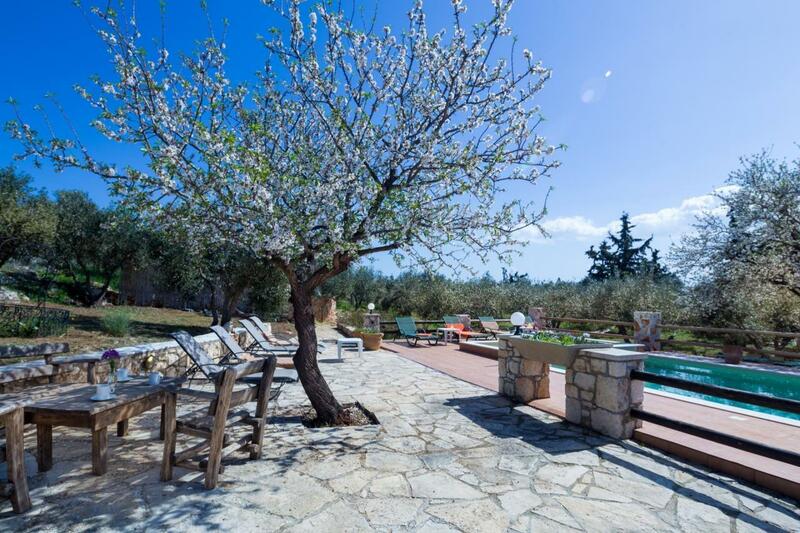 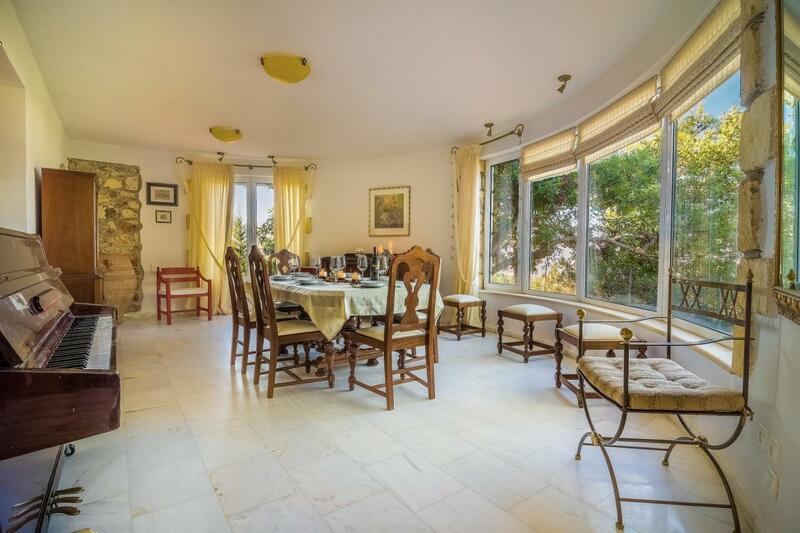 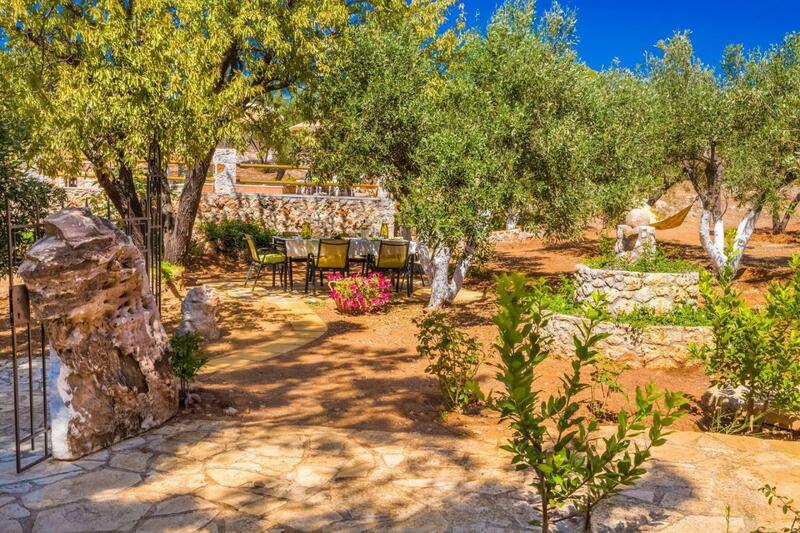 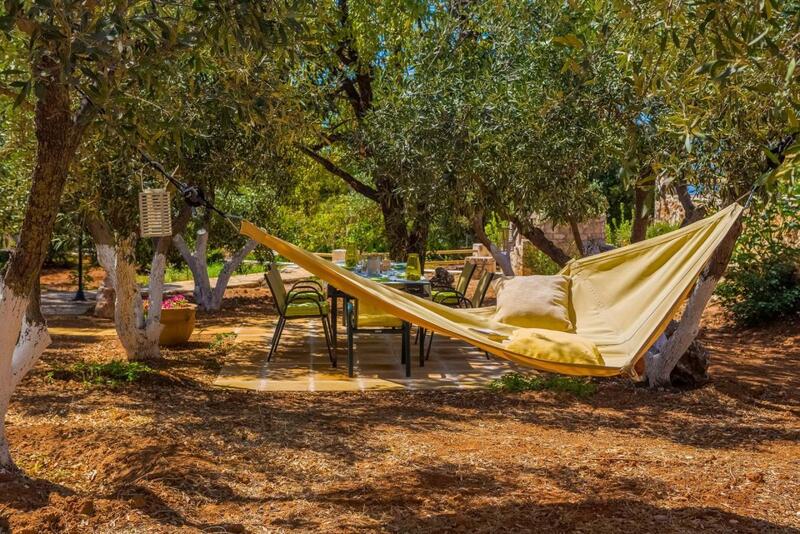 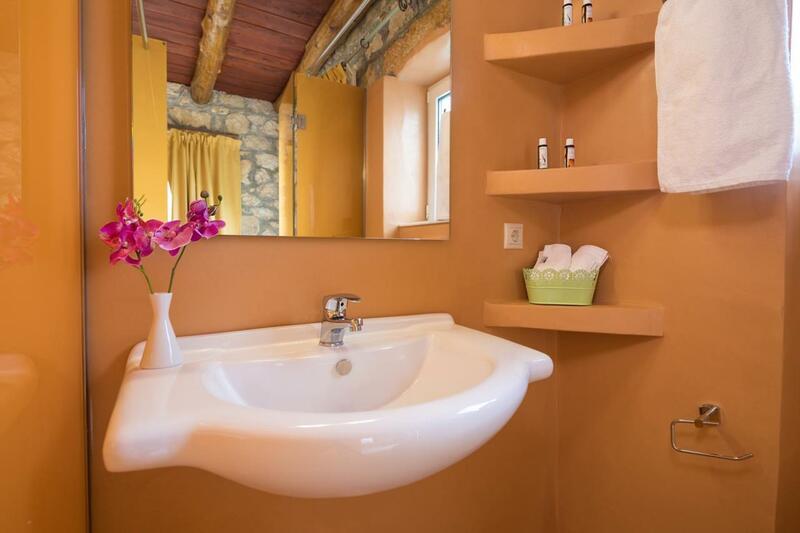 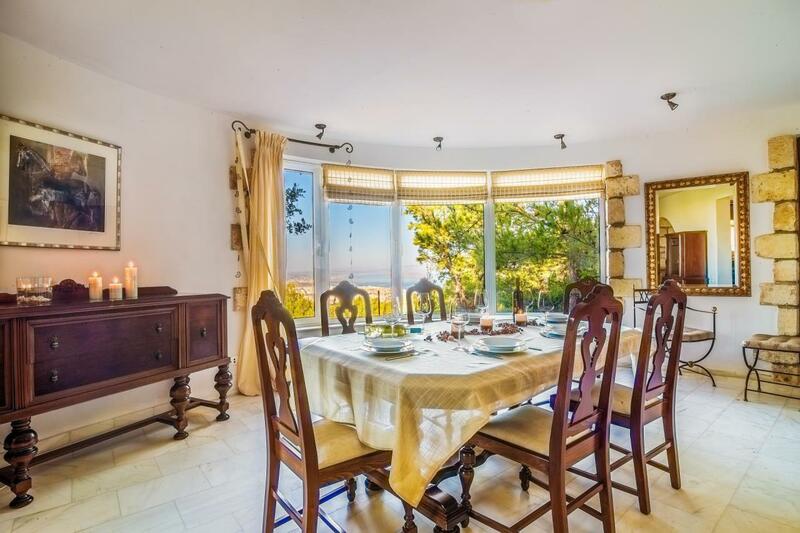 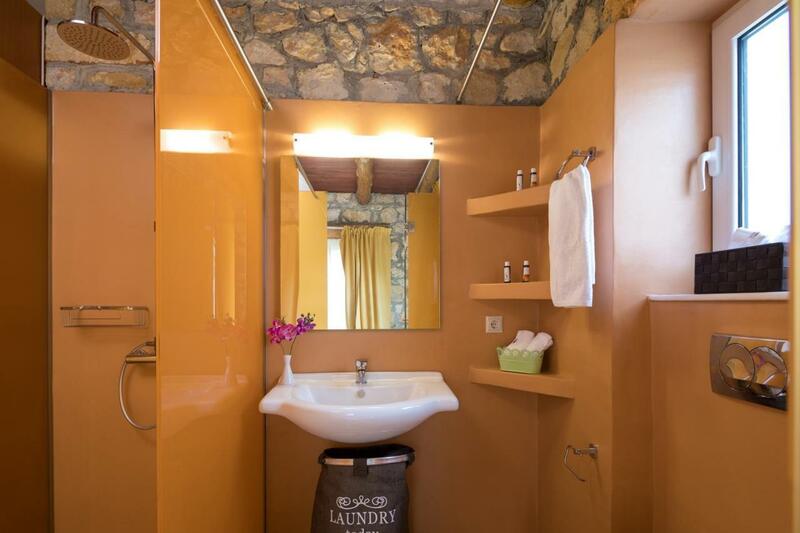 The villa accommodates groups of friends or large families for up to 8-10 persons and it is close to Chania town and 3km for the nearest beach. 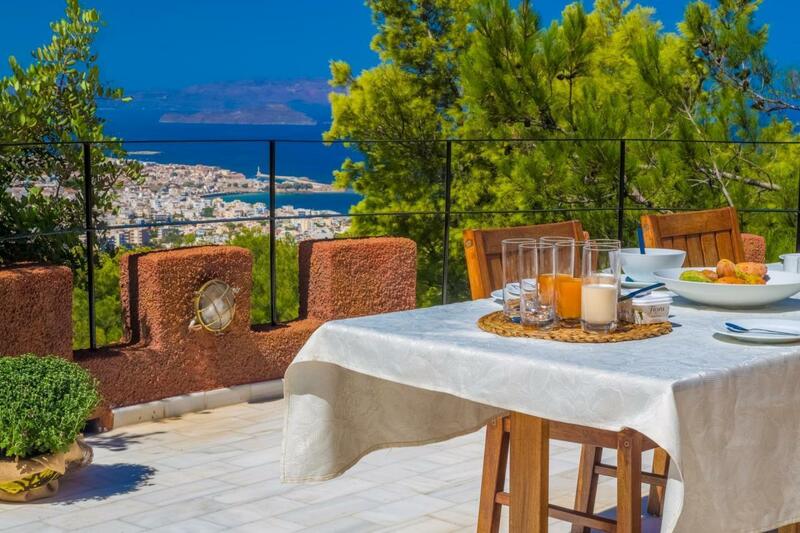 The main floor offers an open plan living room, fireplace and kitchen leading into a sunny dining room with a magnetic view of the City. 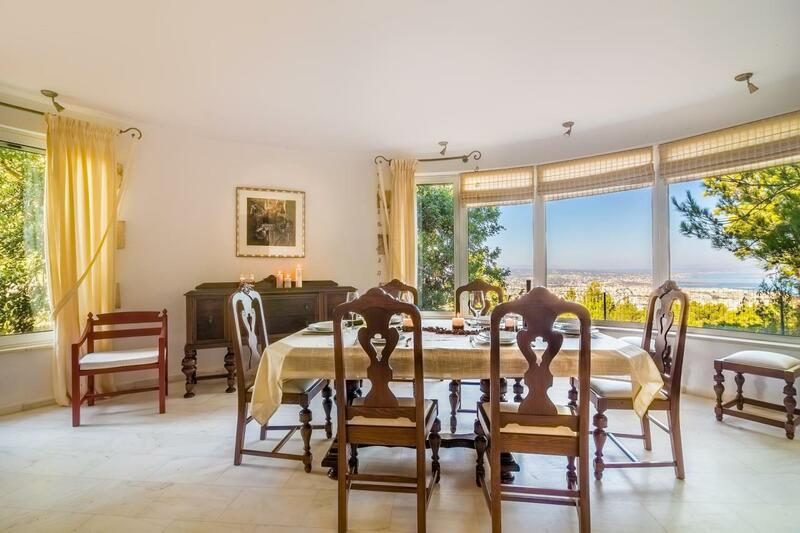 The dining room sits 10 persons. 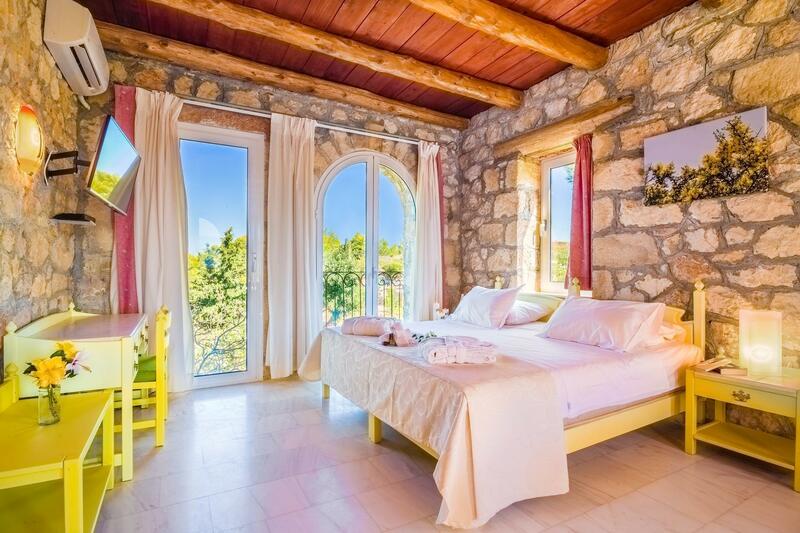 Leading to the bedrooms are two stairways one to the right and one to the left, both off the main floor. 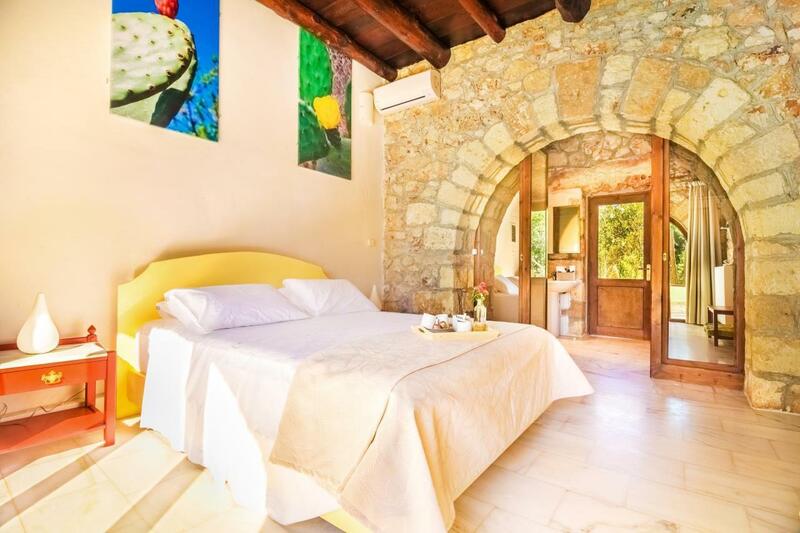 The wing to your left leads to the original tower offering you a studio of a master bedroom with a Queen size bed and an ensuite bathroom. 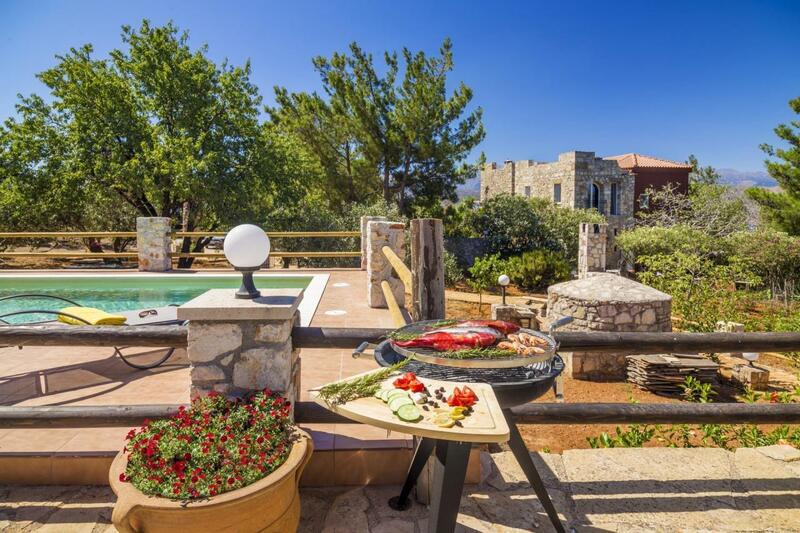 This wing also has a veranda where quests may enjoy dinning, sun bathing or simply quiet private time. 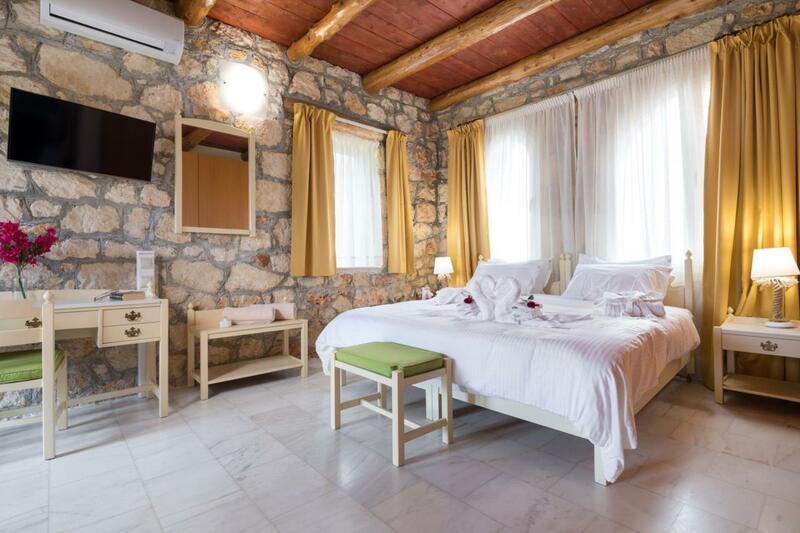 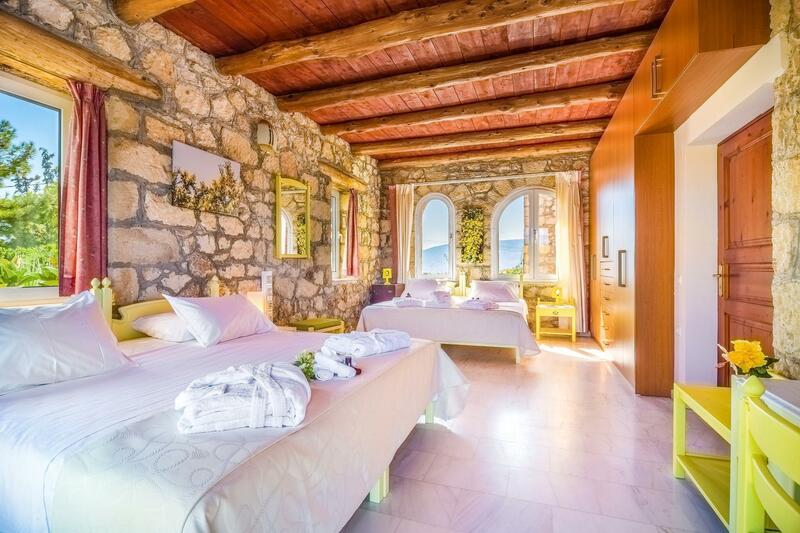 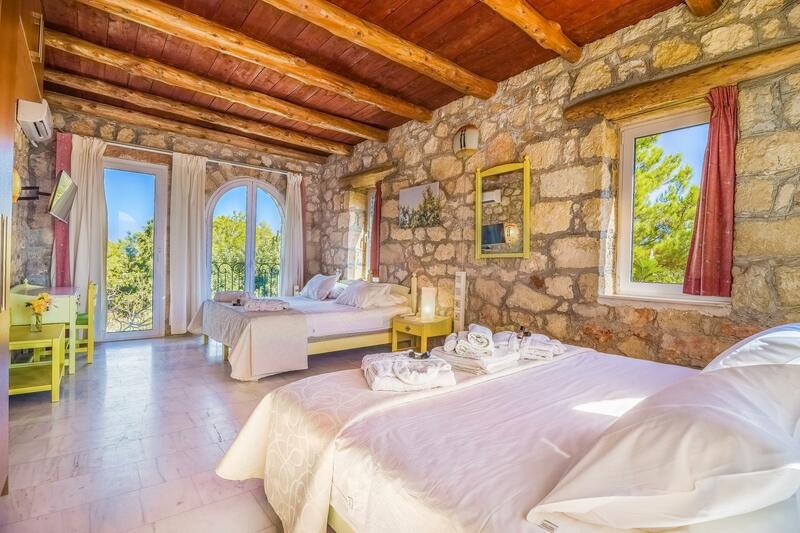 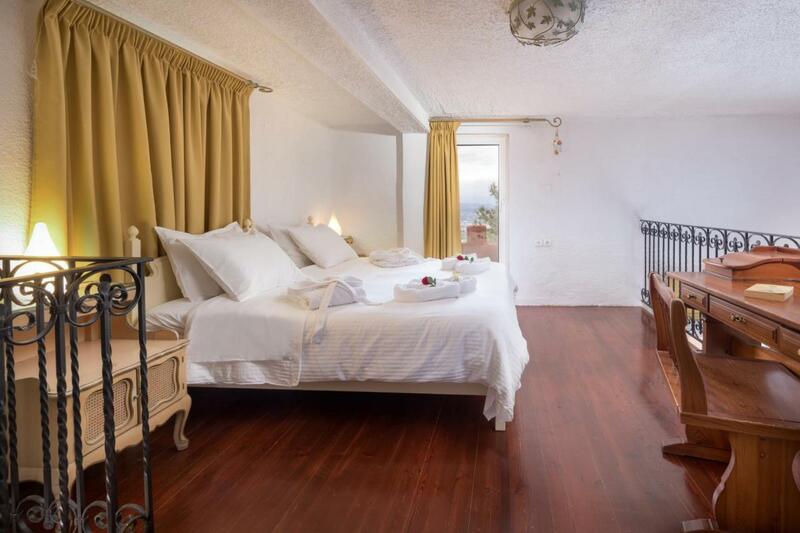 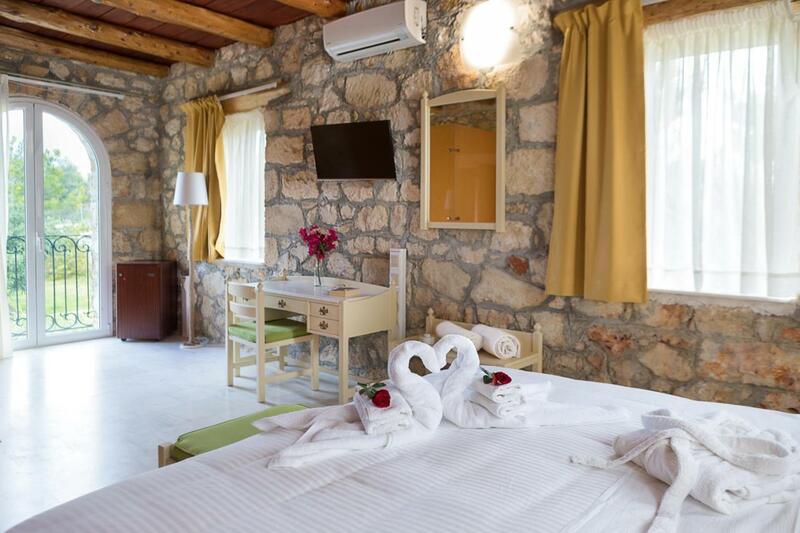 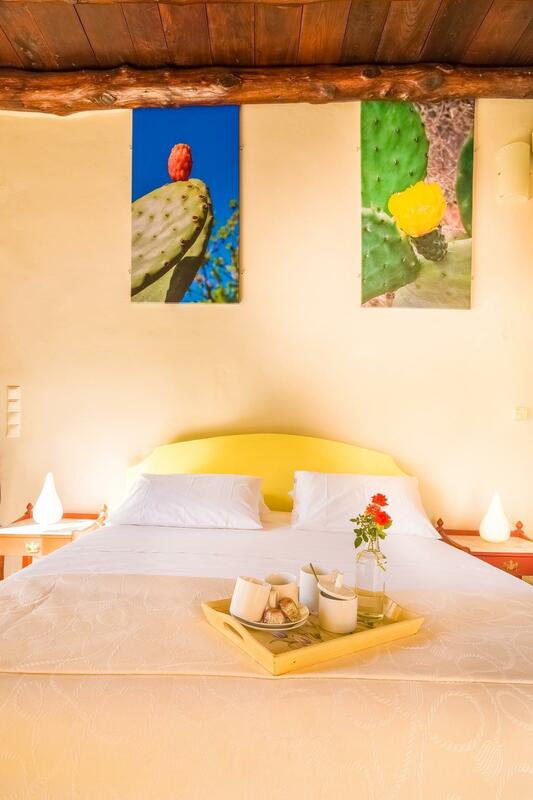 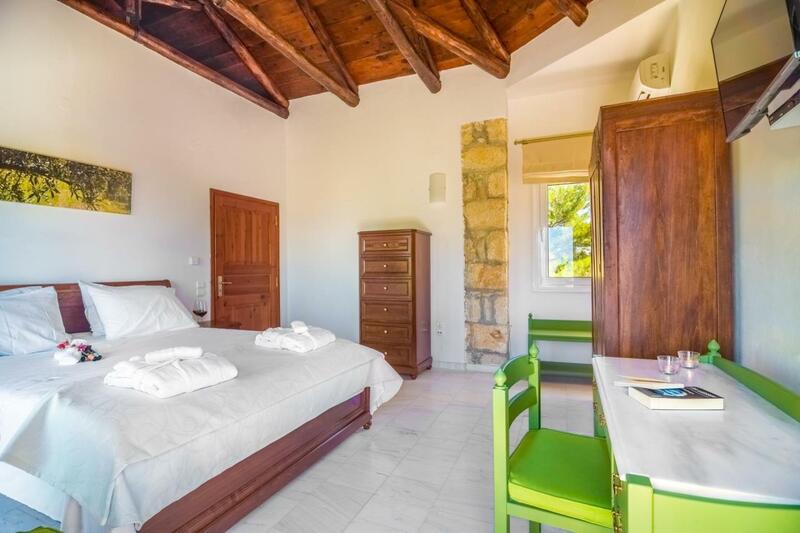 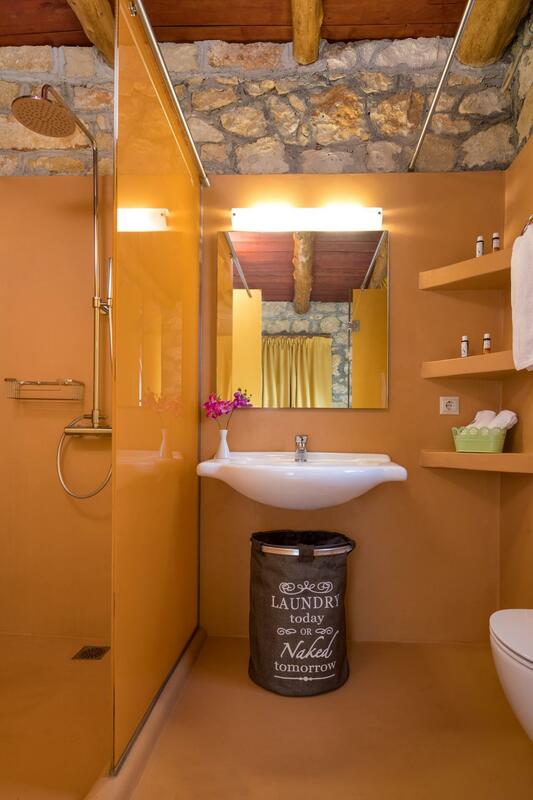 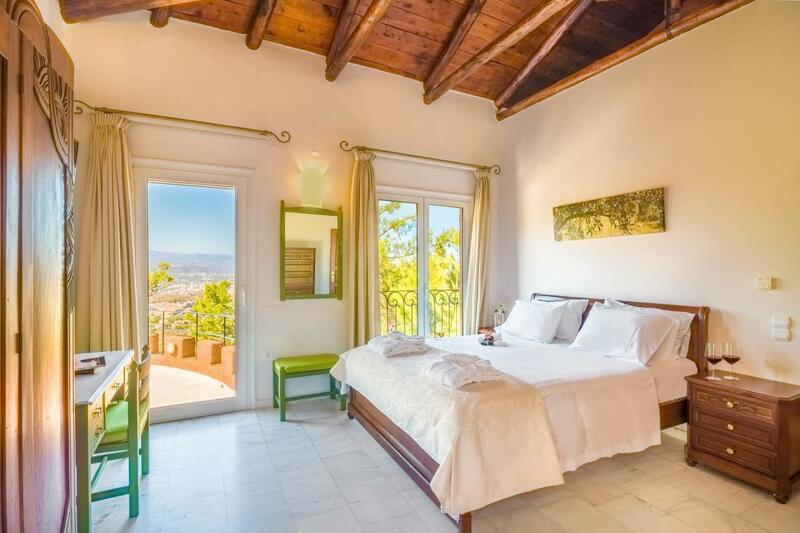 Overlooking into this bedroom – an architecture typical of Crete is a studio, offering another bedroom nicely furnished including a King size bed or two singles. 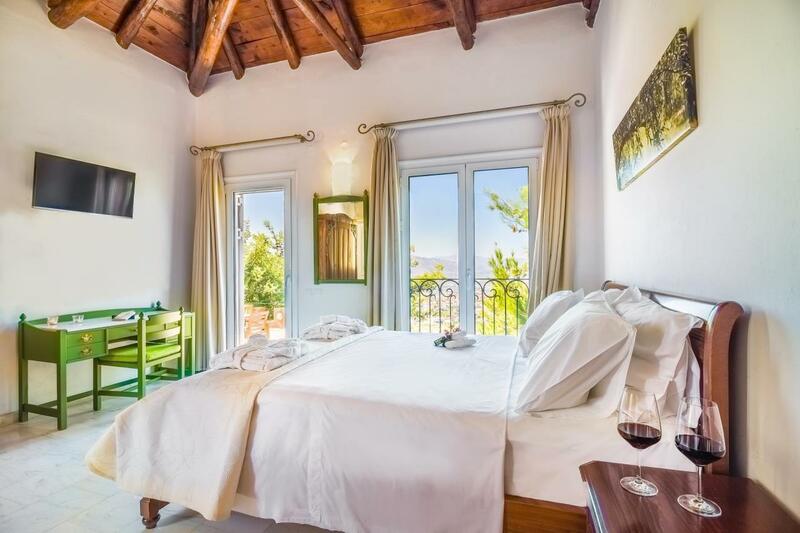 This left wind Bedroom-Studio makes an ideal arrangement for a couple with two small children This bedroom has a small balcony with amazing panoramic city and sea view. 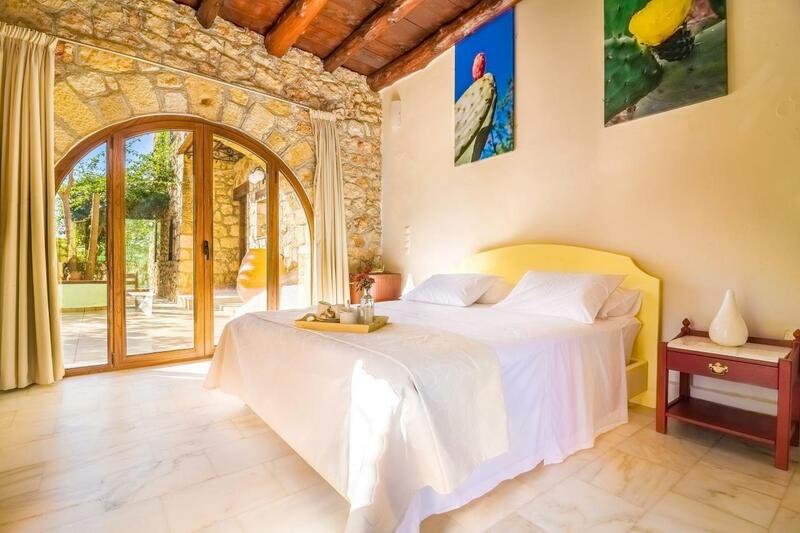 This wing, offers two master bedrooms one with an ensuite bathroom and the other a private bathroom just off the master bedroom. 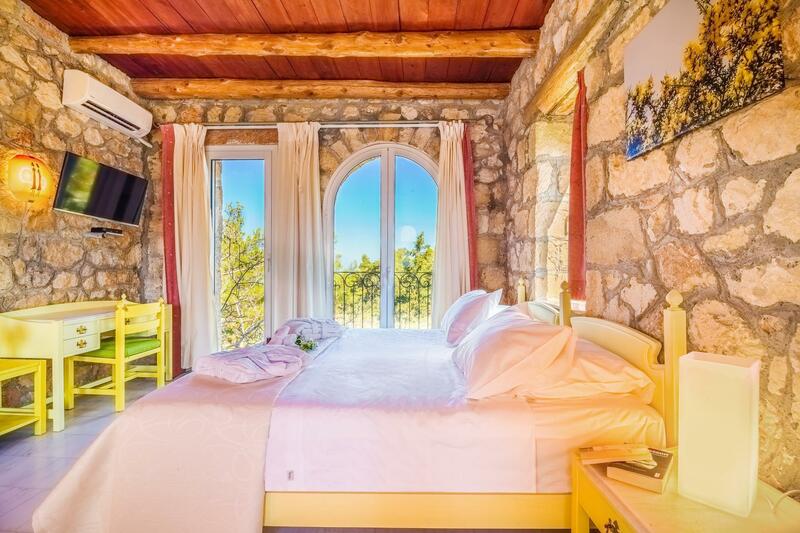 Both master bedrooms have great views; one overlooking the gardens and pool while the other has a veranda overlooking the pine forest. 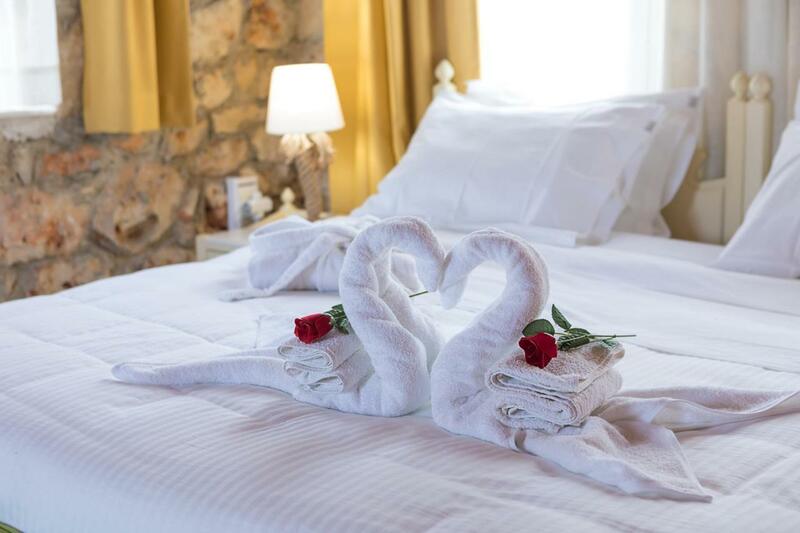 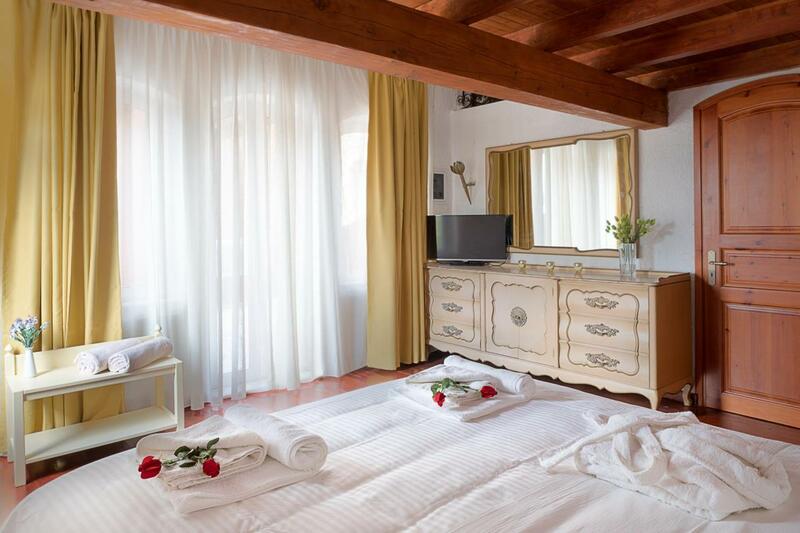 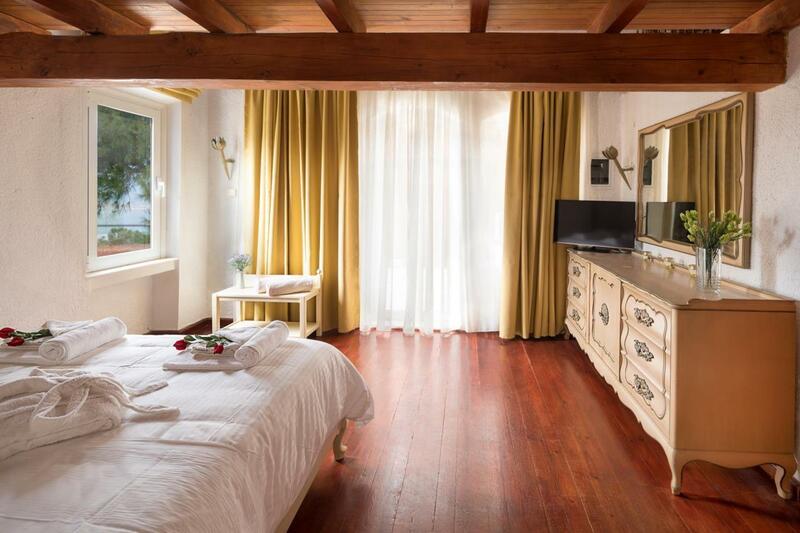 The forth master bedroom is on the main floor and just off the main entrance of the villa offering a queen size bed and an ensuite bathroom –without any stairs very suitable for elderly guests. 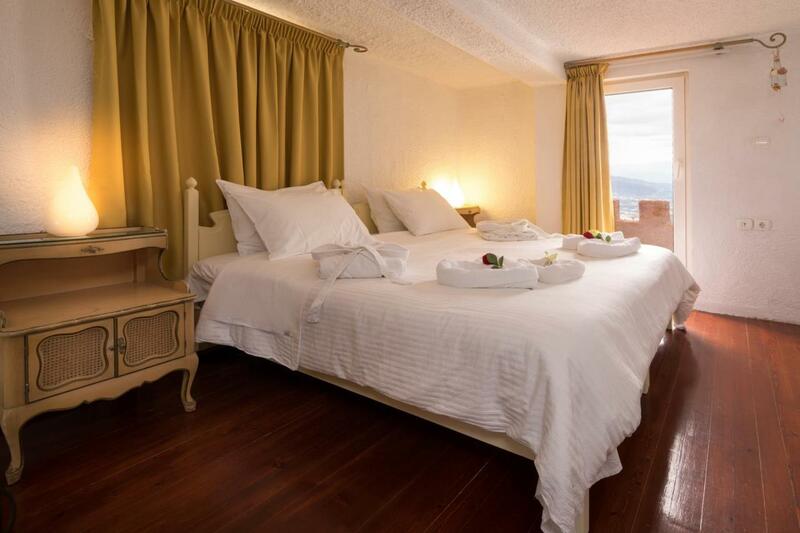 All bedrooms have their own mini fridge and the four (4) master bedrooms enjoy air-conditioning.